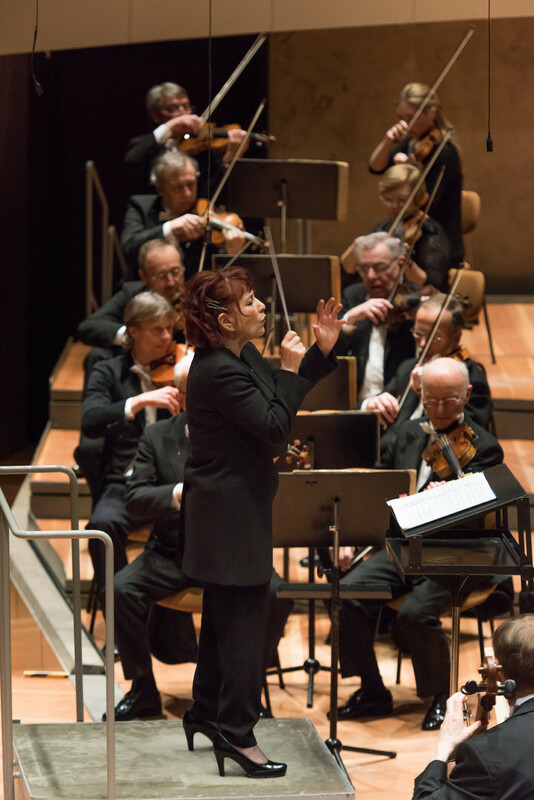 Rimma Sushanskaya is an experienced conductor with an international career spanning over a decade. Among the list of orchestras conducted by Rimma Sushanskaya includes: Berlin Sinfonetta, Neues Sinfonia Orchestra, Berlin, Leipzig Chamber Orchestra, Germany, Kharkov Philharmonic, Ukraine, St. Petersberg State Orchestra, Russia State Philharmonic of Satu-Mare, Romania, Orchestra of the Swan, UK. She made her highly acclaimed London Debut with the National Symphony Orchestra at Cadogan Hall in 2017 conducting Pictures at an exhibition and La Valse. Among the many important orchestral works in Dr Sushanskaya’s repertoire, the following are to be noted: Beethoven’s Symphony No 9, “Choral”, Rachmaninov’s Symphony No. 2. E minor, Mozart Requiem D minor, Mahler Symphony No 4 G Major and Orff Carmina Burana.